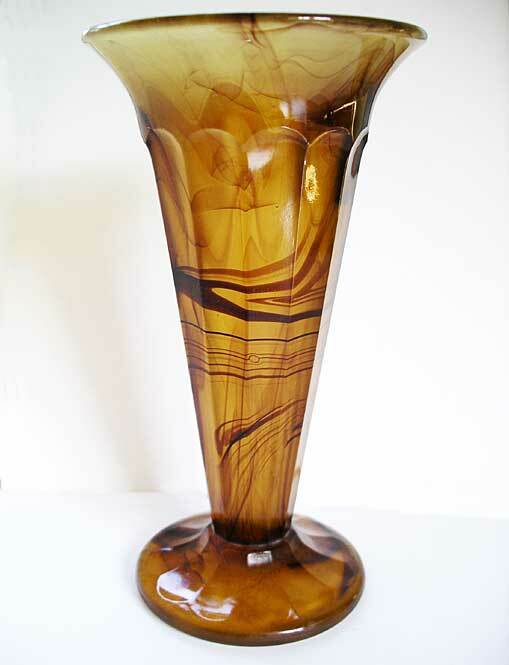 "An attractive English art glass vase of classic art deco stylized geometric pressed glass shape with a distinctive amber/tortoiseshell Cloud Glass pattern designed by George Davidson and Co. 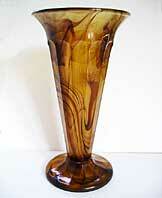 Examples decorated in this art deco manner are highly collectable for display." Antiques Expert Hamilton Bear. 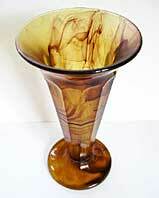 References: This vase is Davidson shape number 51 introduced in 1928. 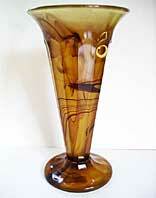 The cloud effect was achieved by applying molten trails of darker coloured glass to the pressed glass in the moulds so that the pattern on each item is unique. 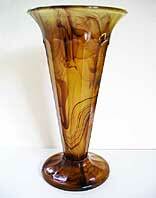 Production of most of the range of Cloud Glass was ended by 1940 with the outbreak of the 2nd World War. Dimensions: height 182 mm max. width 101 mm max. Condition: Generally a good display piece. 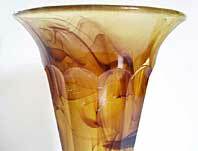 Condition report: Spec scuffing and pitting wear to an area of the vase as illustrated. 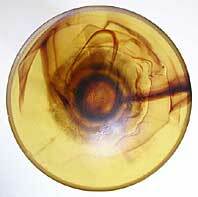 Despite this the piece still displays well from most angles.